After an enjoyable gig in 2016, Ben Maggs returns to Coll. Beyond the undeniably high quality of his song writing, guitar and vocal performance, Ben Maggs really entertains. Audiences are enrapt by his evocative vocals and melodic lyricism, the energetic “nothing held back” visceral nature of his performance and engaging inter-song storytelling, all carried exquisitely by resonant acoustic guitar. 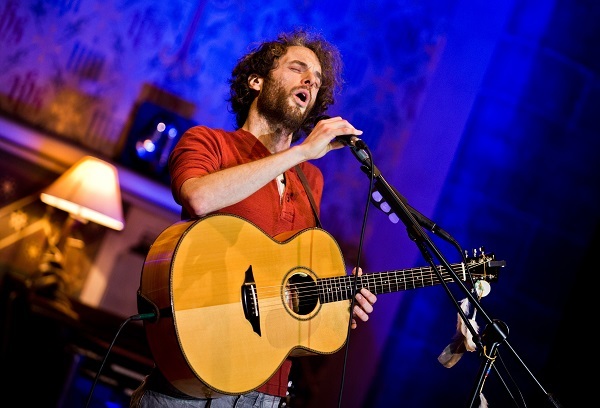 Festival and event organisers, audiences and fellow musicians alike describe Ben’s performances as “mesmerising”, commenting on how he “holds the audience in the palm of his hands”. You can expect nothing less than the full and free expression of the heart and soul of this talented troubadour, live or recorded. The genre? Sometimes I want to say contemporary folk, or folk pop, or reference the troubadours of the 70’s, but this music is new. It’s not really like anything else, but there’s something here for everyone. Ben’s music is authentic and unique – as brilliantly expressed by an artistic admirer he is “The Inimitable Mr Maggs”.